Application: A wide range wrapping applications, such as: Biscuits, Sponge and foam, Tissue and Wet wipes, Healthcare products, Hard ware ---etc. Features: 1. 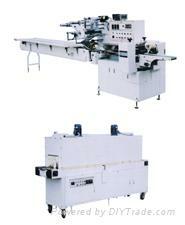 Roll film, automatic bag forming, filling, and sealing, as well as cutting with fast speed. 2. Collecting trim film, shrink to form 3 lines shaping like “H” after cross and longitude sealing. 3. Digitally indicating the size of the film, speed of wrapping, output and temperature. 4. PLC based control system reliable and stable, and low maintenance. 5. Speed control via A.C. invertors. 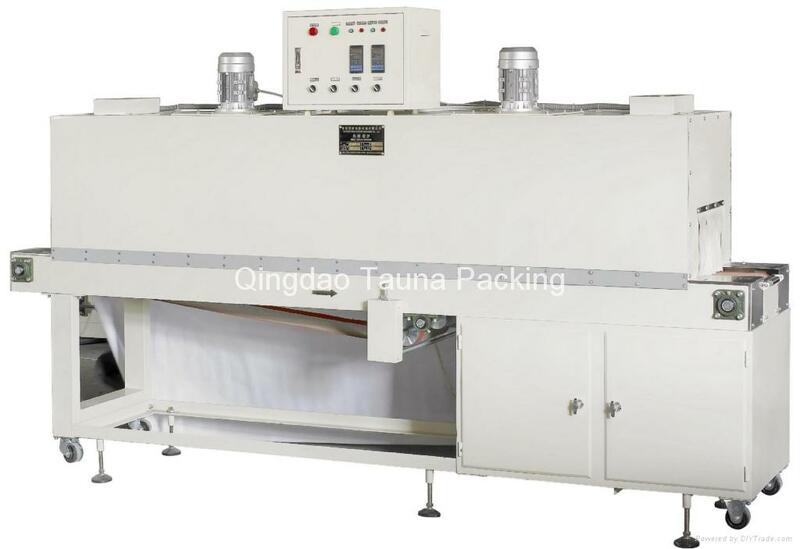 6 Adopt new technology to cut film scrap and air blow collect scrap to get good shrink result.